Continuing studies of the Affordable Care Act (ACA) have been performed over the period 2010 to 2014. Insights have been gained by applying an action-reaction method of analysis. This paper describes one of the lessons learned from these studies. Whether new health care programs are well-planned or not, they may become subject to political capture as “social symbols.” In such cases, the programs become politically redefined in terms of the meaning that they convey to individuals and organizations. The actual program design and details may even become secondary to such redefinitions, as the programs become proxies for other attitudes and beliefs. 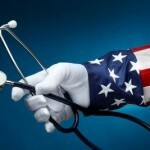 In many ways, the Affordable Care Act (ACA) has been captured and turned into such a symbol. The implementation problems that have occurred have fed into this result. Therefore, reactions to the ACA depend on actual program design and implementation procedures—combined with the symbolic meaning that has been given to the program. From the beginning, the label of “Obamacare” was intended to serve such a purpose, by associating the ACA with “big public-sector intrusions into personal and private lives,” “more taxing and spending by big government” and “an attack on American free enterprise.” The label Obamacare was intended to serve as a shorthand pejorative term that could help shape public perceptions. Advocates of the health plan more or less allowed this term to come into common usage and meaning, without any challenge. The lack of response was partially due to failure by the designers of the ACA to give the new law a handy and catchy title and also due to failure by implementers to conduct early and high-profile public communications and educational efforts to create a competing image for the ACA. Only gradually, over a period of several years, were efforts made to deal with this symbol that stood for the new health plan. One eventual response was for advocates to “adopt” the term Obamacare and attempt to rebrand it as a positive term associated with a successful program. There was some progress in this direction. Efforts were made to introduce “ACA” as an alternative symbol for the plan. However, it was hard to make progress against the entrenched program name, so alternatives were adopted. State programs were given their own names (for the exchanges and expanded Medicaid programs) that could shift attention away from the usage of Obamacare. The curious result was that many people began to develop positive reactions to the new names, while still having negative reactions to mentions of Obamacare or the ACA. As a result, the health plan is starting to build a constituency under the new state names, while the president and Department of Health and Human Services (HHS) continue to struggle against Obamacare associations. Efforts are continuing by critics to keep the positive responses associated only with separate state efforts and by advocates to tie the positive state associations to Obamacare in order to enhance program rebranding, in a tardy public relations effort. It is possible that use of the Obamacare label will gradually fade away over the years or it may always stand as a somewhat-negative symbol of the health plan. The lesson seems clear. It is somewhat strange that such experienced politicians allowed the ACA to develop without a carefully-orchestrated effort to brand the program in a positive light. This omission may have been associated with the notable failure to anticipate the intense organizational reactions to the plan (that were to develop in response to the legislative and executive actions being taken). In contrast, Medicare (as a national program) and Medicaid (as a hybrid national/state program) both adopted simple names early in implementation. In 1965, after these laws were passed, resistance largely ceased and there was little concerted political effort to brand these programs. Implementation built up gradually, and critics never mounted a no-holds-barred effort to hijack these program names. The meanings associated with these names grew gradually over the years, and now have been adopted throughout society with combined positive and negative overtones formed by advocates and critics. In a larger sense, Medicare, Medicaid and the ACA have now been turned into a new brand mix called “health care,” with rapidly-growing expenses combined with calls for further redesigns. A political rebranding competition is now taking place, as advocates for health care change seek expansion of growth of the present system, while critics emphasize the need for more controls on growth. Competing new programs and program changes are being promoted within Congress, to help rebrand health care according to differing perspectives of the situation.